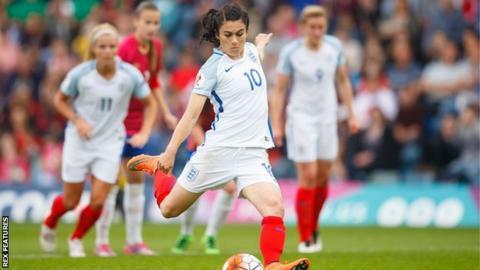 England midfielder Karen Carney has signed a new contract with Chelsea Ladies to stay with the Women's Super League One club until 2020. Carney, who signed from Birmingham in December 2015, scored four goals in 21 appearances last season. The 29-year-old has won 125 caps for England, and was part of the side which finished third at the 2015 World Cup. "She's one of the best players in her position in the world," manager Emma Hayes told the club website. "We are still to see the best of Karen Carney at this football club, which is a big statement considering how well she performed last season. "There is still room for improvement and now she's settled into the club, we'll see her go up another level."